If you have been seeking to carry Novell GroupWise to Office 365 migration, the GroupWise to Office 365 migration tool by Shoviv Software would be the perfect choice for you. This tool has got compatibility with all the versions of GroupWise and those of Microsoft Outlook as well. So you would be with this tool for not only to have Novell GroupWise to Office 365 migration but safety as well. It is an easy way to migrate all GroupWise emails to Office 365, from emails to contacts and other mailbox items. It is compatible with all Windows Operating Systems, canceling any possibility of obstruction of Novell GroupWise to Office 365 migration. User-friendly Graphical Interface of this Novell GroupWise to Office 365 migration tool has been designed to serve regular users of this tool as well as beginners. Even those who are completely new to the concept of mail migration would not have to face any difficulties usual to manual migration. The user has to have Office 365 user credentials (Global Admin) in order to fetch all Office 365 mailboxes. It also ensures that one has access rights of selected admin to perform the migration flawlessly. After the process is completed, this tool would arrange your files in proper hierarchal fashion too. For easy transfer of data from Novell GroupWise to Office 365, the user can bring to use the automatic and manual mapping facility. One can move GroupWise mailbox to Office 365 public folders and archive mailboxes. This folder mapping facility is helpful to those who need to change the name and location of source/ target folder. In order to connect with GroupWise, one can use multiple options. One can add GroupWise mailboxes via default login, online mode, include proxy server, cache mailbox path, remote mailbox path. The user is free to choose from among these according to their requirement. It makes it easy to connect to GroupWise through different modes. Using this Novell GroupWise to Office 365 migration tool, one can export single/ multiple GroupWise mailboxes into Outlook PST in a single attempt. One can also opt to create Unicode PST files as well as non-Unicode PST files. Not only that, one can also save the converted data into two different famous formats- MSG and EML. GroupWise allows large size of files since it has no data limit with regards to files, unlike PST. If you are going to save large GroupWise files into the PST format, this tool would be quite helpful for you. You can split large GroupWise files into as many PST files you want, as per your convenience. For users who are carrying Outlook profile Office 365 or have other IMAP/POP account, they can migrate from GroupWise single or multiple mailbox data. They can use this facility to migrate data into the selected email client quickly. One is also free to migrate data into the public folder or archive mailbox after the Novell GroupWise to Office 365 migration. Before you click on the final step to Novell GroupWise to Office 365 migration, you must have a look over every bit of data going for the conversion. Since going through the whole database is not a practical step, we provide data screening facility. This feature allows you to have a quick preview of the data and its properties. Undergoing this step make sure that you are on the right path to migration. If in the mid of Novell GroupWise to Office 365 migration you need to filter some item, this facility will let you do that immediately. It allows to filter all items based on date range and item types. So you can easily filter items according to your need without having to undertake complex steps for the same. 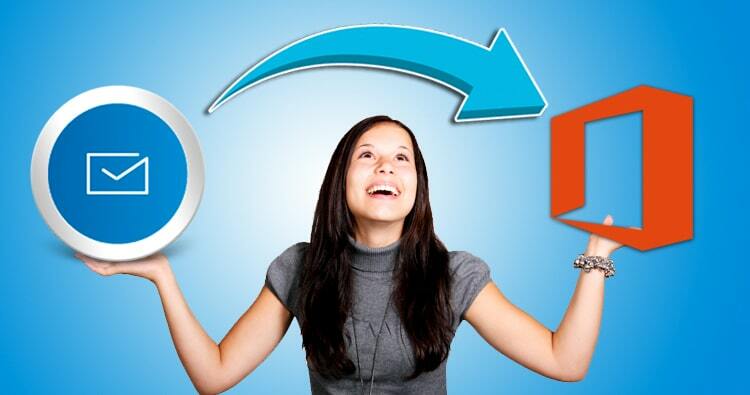 You would not feel abandoned if you are facing some problem with the task to Novell GroupWise to Office 365 migration. Once you have become our client, you will never have to wait to get your issues related to Novell GroupWise to Office 365 migration resolved. Our technical support team will be available via Live Chat, Email and Contact Us Form. The free trial version of this tool serves as a sample for the full version. It has got all the features of the upgraded version and you can use it till you decide that it fulfills all your needs related to Novell GroupWise to Office 365 migration. While the trial version allows to export of 25 items, there is no such limitation with the full version of this tool. We suggest that you use all the features of the trial version and then get the full version. Once you have used the full version, do not forget to update us regarding your experience with the tool. Get the download link to the tool below.